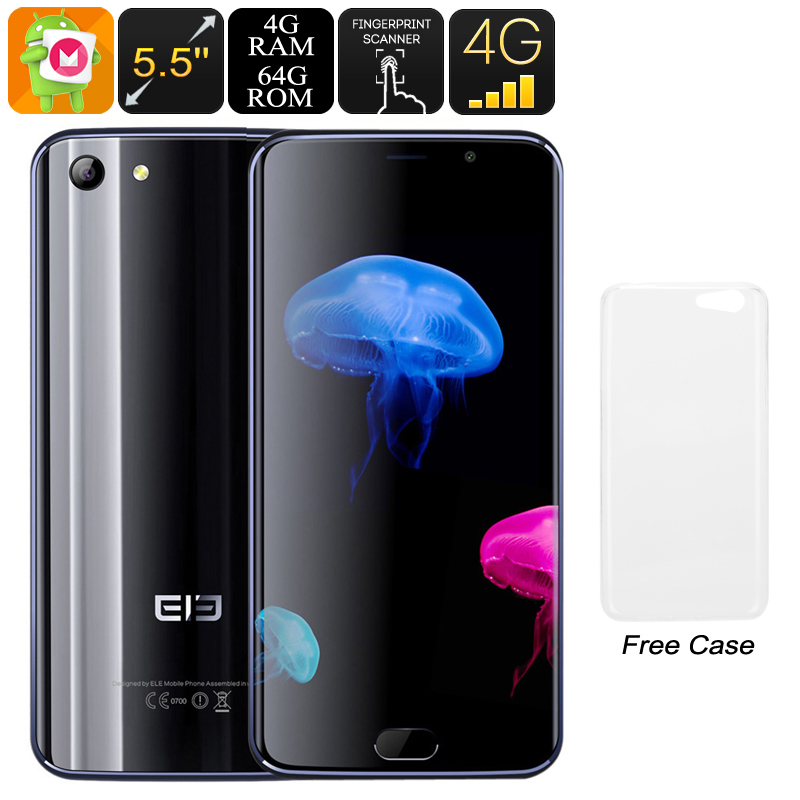 Successfully Added HK Warehouse Elephone S7 Android Phone - Deca-Core CPU, 4GB RAM, Android 7.1, 13MP Camera, Dual-IMEI, 4G, 5.5-Inch FHD (Black) to your Shopping Cart. Enjoy your favorite films, Apps, and games on the Elephone S7 Android phone’s stunning 5.5-Inch display. This beautiful Full-HD screen treats you to crisp 1080p resolutions. This means that you’ll be able to undergo a breathtaking visual experience whenever you’re enjoying your media on the go. The display furthermore features Corning Gorilla Glass 3. This extra tough glass takes away all your fears of accidentally breaking of scratching your screen during the day. With this beautiful 5.5-Inch smartphone in your pocket, you’ll be able to enjoy a relaxing media moment at any time of the day. To make sure that your Android phone can handle all your demands, it comes packed with some sophisticated hardware. You’ll be treated to the powerful Helio X20 processor from MediaTek. This Deca-Core CPU has been clocked at 2.0GHz thanks to which it is capable of tackling the latest software features. Your smartphone furthermore comes with 4GB RAM. This allows you to engage in excessive multi tasking sessions without needing to worry about slowing down your device. With the phone’s 64GB ROM and 128GB SD card slot at your disposal, there is plenty of storage to keep all the media of your liking. This latest Android phone runs on the Android 7.1 Operating System. Therefore, you can be guaranteed to undergo a smooth and lag-free user experience while you take advantage of all that your phone has to offer. With Dual-IMEI numbers and 4G support, your Android smartphone keeps you connected no matter where you’re at. To make sure that you’ll get through the longest of days uninterrupted, it packs a powerful 3000mAh battery. This cell lets you make calls, watch video’s and snap pictures or 4K video with the phone’s 13MP camera for up to 12 hours continuously. The Elephone S7 Android phone comes with a 12 months warranty, brought to you by the leader in electronic devices as well as wholesale Android smartphones..